Being from Glasgow, I jump at the chance to showcase home-grown talent so, say hello to Sparrow & Co. who opened their online doors to the public yesterday. With just one visit you'll be ready for winter; mustards and greys, textures, patterns and scents. Done. 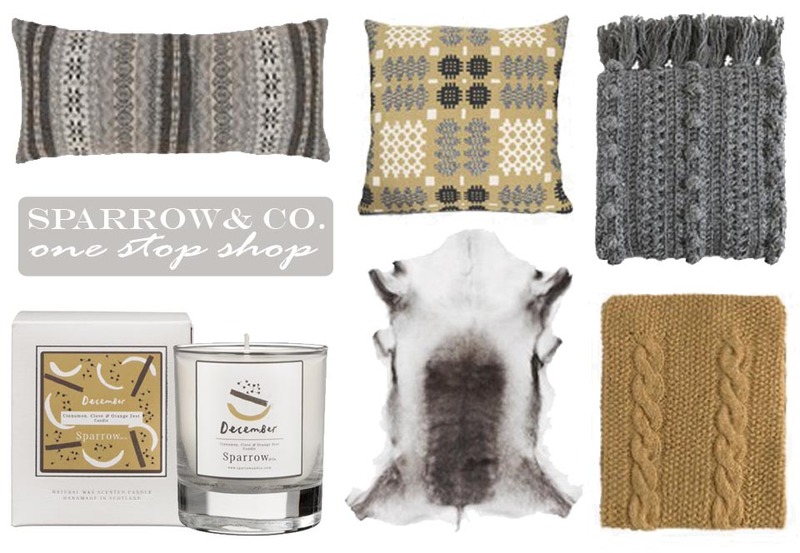 I've been waiting for the Launch of Sparrow & Co. for ages - despite the hummingbird range on NH, my taste isn't especially girly, so I love a good, manly-but-properly-stylish shop like this one.